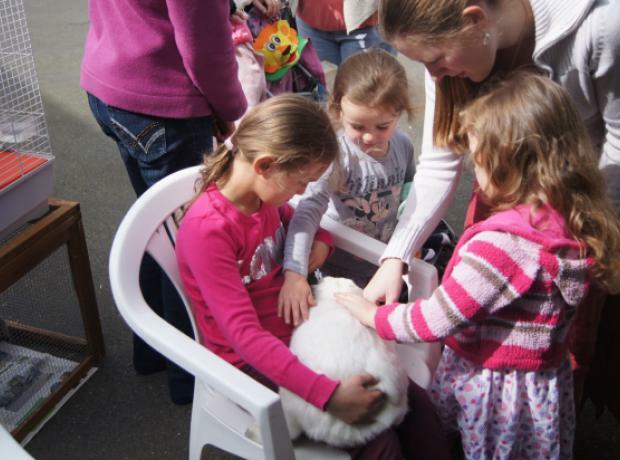 This Saturday we held our Easter Fayre with Cupcake & Pupcake competitions was held on Saturday. Hundreds of visitors came along through the day and got to take part and see all sorts of activities. For the kids there was an Easter Assault course where the children had to crawl like a bunny rabbit to find some hidden eggs in a timed race. Everyone won a variety of Easter confectionary and the fastest won a giant Easter Egg. A HUGE well done to Beth Valpied who completed the course in an eggtastic 27 seconds. JOULES of Guernsey’s recent window display has caused quite a stir amongst island dog lovers who have taken a liking to the 10 cardboard canines currently residing at the front of the Pollet shop. ‘Since we made the display we have had quite a few people asking if they could buy the dogs when it is taken down. 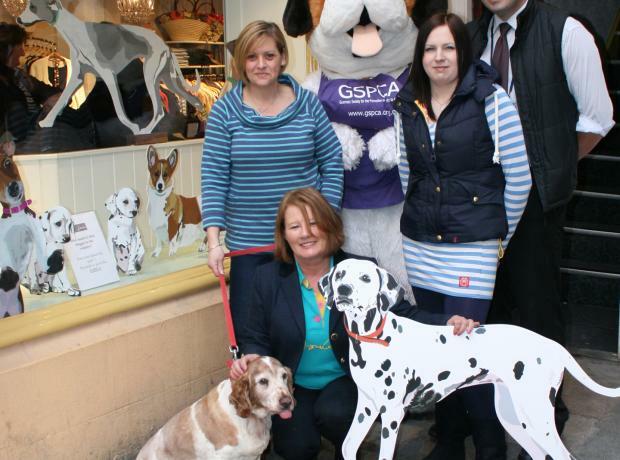 The team and I thought this would be a great way to raise some funds for the GSPCA so from Monday we will be accepting sealed bids for each of the cardboard cutouts,’ explained Joules’ manager Carol Hutchins. The picture to the left is from Aurignys Cupcake Event. Thank you to all that took part. This week hundreds of children and adult's are getting involved with the GSPCA Cupcake Week. On Saturday 31st March 2012 between 11am and 3.30pm the GSPCA are holding an open day at the Shelter and we are appealing for donations to help make it a great day for all. We are asking for donations of bric-a-brac, easter eggs, tombola items and raffle prizes to help make it a fantastic day and a fantastic fundraisier.